Everybody loves smooth and silky hair. We get clients going through a tough time handling frizzy and uncontrollable hair. 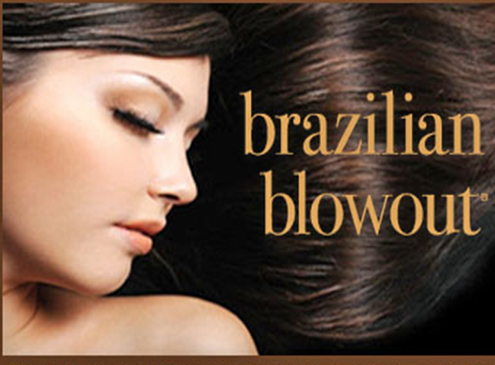 They frequently ask, what is a Brazilian blowout? It is actually a hair treatment that can give your hair a smooth, healthy and shiny feeling that can be styled in any manner wavy, curled or straight or any other style. Most of our clients who had this treatment from us have noticed a remarkable change in their hair texture. Anybody suffering from processed or damaged hair may undergo this treatment we offer and it actually works for any type of hair, no matter it is curly, coarse, fine, or frizzy. This treatment also works on hair that is colored, highlighted, and on permed hair. After receiving this treatment, you can anticipate a completely frizz free hair that is shiny and smooth and can be handled easily. You may still style your hair the ways you want and also lessen the time spend on blow drying. Our Brazilian blowout professional treatments are the most efficient and creative in the world. Through the utilization of breakthrough and creative bonding technologies, these treatments basically enhance the health and condition of the hair by developing a protective layer across the hair shaft to eradicate the frizz effect and to smooth the cuticle. This treatment will cut your styling time in half and will allow your hair to regain its health and vitality that is lost through the use of heat tools like flat irons everyday. Salon Zaina is committed to offer complete value and serve you better. Our consistent, professional service in a warm and friendly ambience make our salon unparalleled. We are here to serve you with the latest trends and products available in our industry. All our registered specialists will sincerely bask what they do and it is reflected on the smiles and repeat business of our clients. We ensure complete value and individual attention for all our customers. Get in touch with us today!